"This is a nice scale that definitely can be used for weighing things other than Pinewood Derby cars. I already used to weigh letter for US postage. Price is reasonable too." 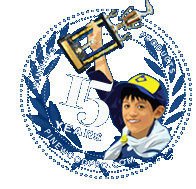 Weigh your pinewood derby car on this versatile digital scale featuring a blue backlit LCD, stainless steel weighing platform and it even includes the battery. This scale has a large platform and weighs up to 13lbs in .1oz increments so it can be used for many purposes after your pinewood derby race. Includes Lbs/Kg (oz/grams) option, a hold key and even a tare option for weighing lots of items. Good little scale that accurately weighed our Pinewood Derby car prior to car submission at our pack. Will use the scale next year at our pack's PWD workshops since we can always use extra scales. I'll just have to keep a spare 9v battery so we don't have a scale that dies during a workshop. A great tool for any scout pack that does pinewood derby. We bought it so that there was no guess work. A little spendy, but right in the average price for this kind of scale. Oh, and since its kept at my house....Ive also used it when I make venison jerky. Works great! This is a nice scale that definitely can be used for weighing things other than Pinewood Derby cars. I already used to weigh letter for US postage. Price is reasonable too. Nice scale, would be perfect if it went to 2 decimal places on the ounce setting for Derby Cars.